It was the last day of bear season last year when my wife called me and asked that I not go hunting. One of the children had a cold and she was having a bad day at work. No bear stand that night for me. About 7am the next morning I get a text from my hunting buddy. It is two dead bears in the back of his truck. They showed up on the bait and shot a bear. 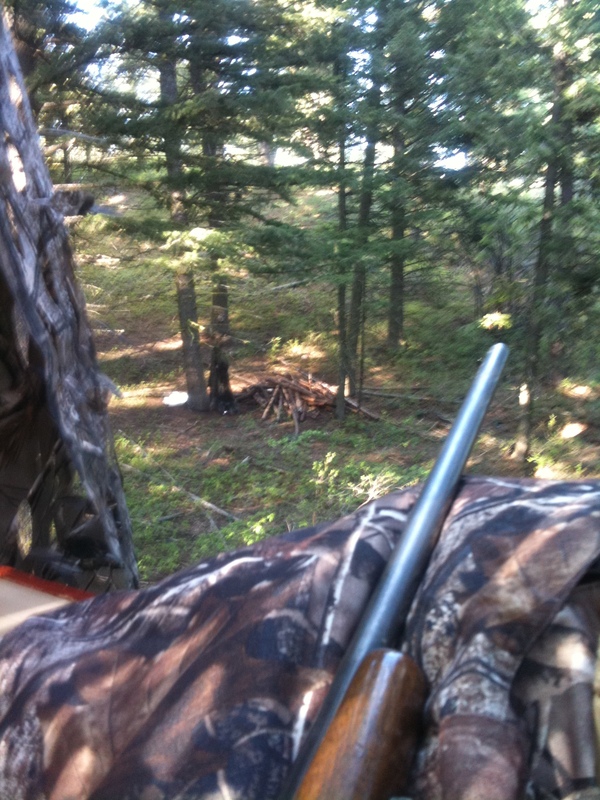 Than decided to just sit in the stand anyway – right at dusk another bear came in. Two tags filled and one could have been mine. This year I will not fail on the bear hunt. Soooo…tonight I will be at the bear stand. Time and more time this year on the bait will get me a bear. I drool thinking about a bear sausage, bear pot roast and even a nice bear meat pie. With any luck tonight I will have meat on the ground.